When your employees look to you for insurance products that will help provide financial security for their loved one; you can confidently say you made the right choice when you choose Fringe Benefit Analysts. We offer a comprehensive line of flexible Group Life and Accidental Death & Dismemberment (AD&D) insurance plans that we can tailor to meet the needs of your workforce. Employer-sponsored plans help offset the financial loss from losing a loved one or experiencing a debilitating accident — and ultimately provides your employees with peace of mind. As a fundamental element of any benefit package, Group Life insurance helps protect employees and their loved ones from financial hardships related to an untimely death. Accidental Death and Dismemberment (AD&D) insurance pays benefits in the event of loss of life, limb or sight due to an accident. Available as an optional benefit that can be bundled with a Group Life insurance policy or as a stand-alone product sold separately, AD&D gives your employees peace of mind. Fringe Benefit Analysts provides an in-depth analysis of carrier provisions, ensuring the upmost service and benefit will be provided. We’ll educate your employees about the various options, assist them through the enrollment process, and then completely service all products. 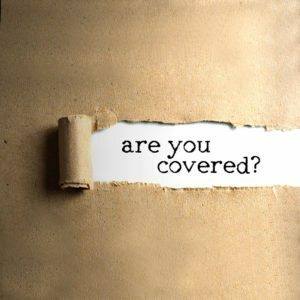 And most importantly, we provide your employees and their survivors the caring and responsive service they need in the event of a claim.